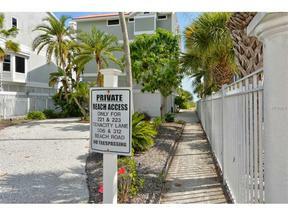 This 3 bed / 2.5 bath vacation rental is a beautiful tri-level townhouse in one of the greatest locations on Siesta Key. The #1 beach in America with baby powder sand is 230 feet away and the restaurants, shops and nightlife of Siesta Key Village is only a block away! It has a windowed staircase, Mexican tile floors, living area with wood-burning fireplace and built-in bookshelves, a walk in pantry and glass sliders that open to the covered balcony. It also includes a 1 car garage and an elevator to reach all 3 floors.